Noob moment right at the beginning in Ramen Kuroda... "uhm, what is the towel for? Is it for the face or the hands?" I didn't bother to ask and I found mixed ideas online (I was Googling while waiting for our meal to be served). Anyway, I wasn't even able to use it because the bowl was removed once our orders were served. 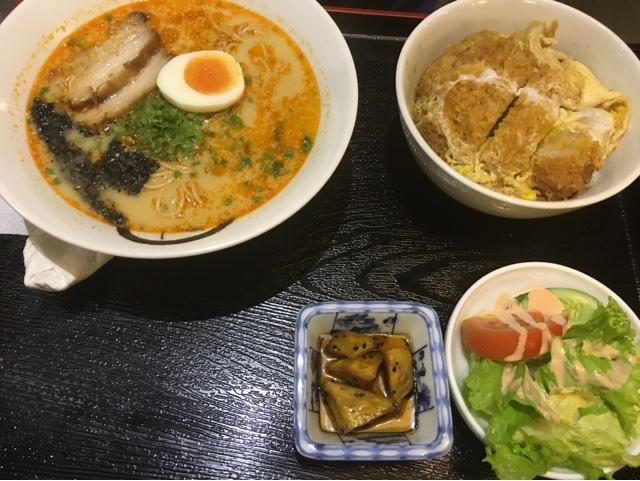 But before we talk about the meals, just a short introduction for this ramen place... Ramen is one of the fast rising Japanese dishes in the Philippines at the moment. There are even ramen stalls located in public areas now (literally in streetsides)! 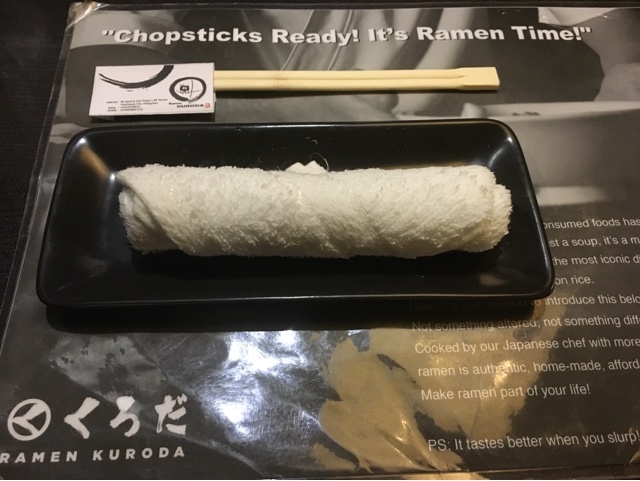 Unlike similar food places, Ramen Kuroda, promises an authentic ramen experience through experienced chefs who have been serving ramen for 20 years or so. They have only introduced their version of this popular Japanese noodle dish in 2015. 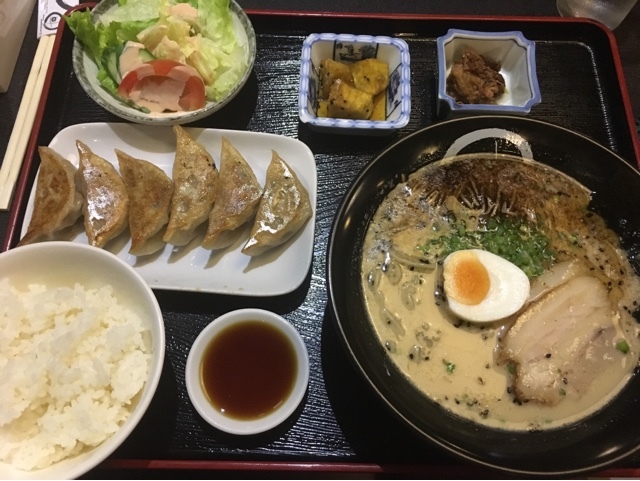 This one's the Ramen Gyoza set (P320), with Shiro Ramen, Gyoza, rice, and fresh fruits. And this one's the Ramen Tonkatsu set, P360, with Aka Ramen, Tonkatsu, rice and fresh fruits. For all Set Menu items, you can choose from three ramen options - Shiro, Kuro and Aka. Shiro is the basic pork base noodle soup. Aka is spicy while Kuro is garlicky. The salads are additional side dishes while the mini-bowls of fried sweet potato were served free. I'm not sure if pre-meal towels are available at other branches but it sure is available at the BF Homes location.